In part 3 of our series, Choosing A Truck Driving Job Part III: How Your Family and Lifestyle Will Affect Your Choice, we considered your personality and lifestyle. Are you married? Do you have children? 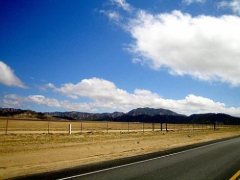 Do you love adventure and traveling across the country? How long would you like to be away from home? 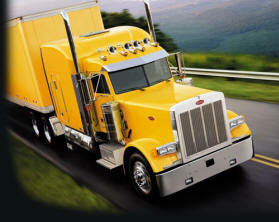 These questions all figure into the process of choosing the right truck driving job. The next big consideration will be the size of the company you choose to work for. I have worked for companies with over 5,000 trucks and for companies with as few as eleven. It's a huge cultural difference. In part 4 we're going to discuss the advantages of working at one of the larger trucking companies. In part 5 we'll cover the disadvantages of working at a larger company, along with the advantages and disadvantages of working at a small trucking company. The larger companies have a huge amount of resources available. They have tons and tons of different types of freight and driving opportunities. They often have local jobs, dedicated jobs - where you remain with one customer or run one route all the time, regional jobs, and over the road. Some of them have different types of trucks in their fleets, including dry van , reefer , tanker, and flatbed. They have a lot more flexibility when it comes to home time, and they will generally allow you to move freely between different divisions within the company when you feel an opportunity presents itself. Larger companies also have accounts set up with customers, lumpers, repair shops, towing companies, motels, bus companies, and truck stops. These accounts generally allow you to walk in the door, tell them who you work for, and get what you need taken care of without doing a thing. Repairs, towing, showering, getting bus tickets when needed, and picking up or delivering freight becomes much faster and easier under this system. To me, this was always a really big deal! Big trucking companies also have a large pool of equipment to use. A variety of tractors to choose from and a huge number of additional trailers available make life much nicer for the driver. With the extra trailers you get to do a lot of "drop and hooks" where you pull into the customer, drop your trailer, grab a different trailer, and leave. You don't have to wait around to be loaded or unloaded. This is really huge because most jobs pay by the mile. so the time you spend sitting around waiting to load or unload is unpaid, wasted time. You want to keep rolling as much as possible, and drop and hooks can help you make a lot more money in a lot less time. Drop and hooks also give you more flexibility as far as when you make your pickups and deliveries. Many customers who offer drop and hook pickups and deliveries will give you a deadline to pick up or deliver, but generally you can get there as early as you like. Many times they are even open 24 hours a day, seven days a week. So if you have to pick up a load that's sitting in a trailer in downtown Chicago, you don't have to try to push through rush hour traffic to arrive at a certain time. You can go in late at night or real early in the morning when traffic is light. Or maybe at times you would be able to get there way ahead of schedule, but you would really love to take a nap for an hour or two, or sit down for a nice meal first. Well, go for it! As long as you arrive ahead of the deadline everyone is happy. Believe me, you're gonna love having this kind of flexibility. It's wonderful when you're just exhausted and you find out your next load is a drop and hook that can pick up anytime. "Oh, thank God!" you're thinkin' as you pull over, jump into the sleeper, and crash out for a couple of hours! To continue with this theme, larger companies tend to have a long list of perks. I've worked for companies that had things like free family counseling, large plush driver facilities, arcades, big screen TVs, restaurants, free 24 hour medical phone lines where you can call and talk to nurses confidentially about any medical questions you might have, discounts on travel accommodations, top of the line health insurance, 401k and direct deposit, free high speed wireless networks, shower facilities, marriage counseling, and on and on and on. I must say, at times it crosses your mind that maybe it would be better if they would just pay you a little more instead, but you know how that goes. The perks really are unbelievable though, and incredibly nice at times. So as you can see, there are a ton of advantages to working at a large company. But these big trucking companies do have their disadvantages for sure. In part 5 of this series we're going to talk about the disadvantages of working at a large company, as well as the advantages and disadvantages of the smaller companies. Until then, take care!